I am a Navy brat. Both of my parents were in the Navy. I was born in Newport, Rhode Island in 1957. I have lived in Illinois, California, Massachusetts and Virginia. I have lived in Bowie, Maryland since 1967. I love animals, babies, children, beaches, movies, crocheting, gardening and painting. 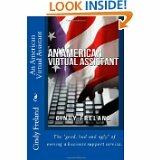 I am self-employed and I am an award-winning virtual assistant. That means that I do all of your time-consuming tasks like word processing, data entry, desktop publishing, social media and transcription so you can concentrate on your revenue-generating duties. 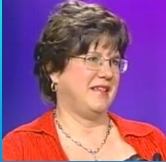 I also teach Facebook workshops and host a cable television show for the local chamber of commerce. I founded Maryland Secretarial Services, Inc. in 1997. Sisters under the skin—I used to own a temporary service! I know exactly what you’ve been doing. I began writing because I started a job program for teens in my city. Teens from 14-16 really needed help as there are not a lot of jobs for them and they get bored because they are not driving yet. My goal was to help them find jobs. I started writing my first book in 2003 and it took me 10 years to self-publish it. 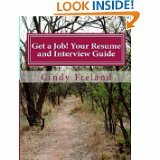 It is called Your Resume and Interview Guide. It is mostly for first-time and teen job hunters. My genre is anything I think about and anything I want to write about. I don’t want to restrict myself and my writing. I write what I know about, which is kids and marketing. I write on my desktop computer. I wing it without outlines or instruction. Another seat-of-pantser! What other writer inspires you? Your work? My daughters, Alyssa and Andrea, inspire me. I don’t have any writers that inspire me as I am not a big reader. I find that reading is tedious and boring unless the story is absolutely spell-binding from the very beginning. 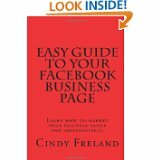 I like “Easy Guide to Your Facebook Business Page” best. It is a work of passion. I am adamant about posting your business on Facebook. I also teach Facebook classes in two levels in the local senior center and for two chambers of commerce. The only problem is that I have to keep up with all the changes in Facebook and I constantly have to revise the book. Since I have written 11 books to date, with many more to come, I guess my favorite character so far is Chippy. Chippy is a live chipmunk who lives near the pond in my backyard. 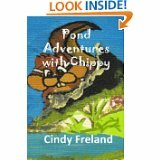 I wrote Pond Adventures with Chippy from live events that I watched from my family room window. 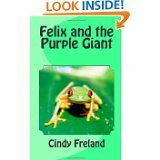 My best experience is when people giggle when I tell them there are 26 ways to use mud in “Mud Pies” or children remember the story when I read it to them and they start repeating it for “Felix and Purple Giant”. My worst experience is when people take advantage of free books and they don’t even bother to write reviews. I have ever gotten any bad writing advice. 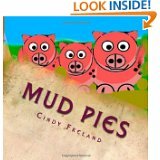 My latest book is “Mud Pies”. 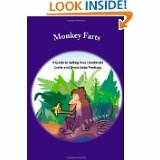 It is a 56-page children’s book and includes 26 ways to use mud. It’s available on Amazon. I have several books in the works but I would rather not say what they are right now. But they will be fabulous. because you are selling your crafts. My children’s books come from my heart and most were inspired by true events. I have two wonderful daughters, Alyssa and Andrea. They are my inspiration and I dedicate all my books to them. I am also an adjunct professor for a community college and I host a cable television show for the chamber of commerce. My business page for Maryland Secretarial Services, Inc.
Or you may contact me via e-mail at cindy@marylandsecretarial.com or call me at (301) 352-7927. Thanks for visiting with us today, Cindy. It sounds as if you are a very busy lady. We appreciate you taking time for our visit!